The newest 2019 Audi Q5 will arrive with a lot of impressive updates. An all-new look is on the cards, the interior is more welcoming and modern while the exterior design is astonishing. The rest of the upgrades includes changes in a mechanical category such as new suspension. The powertrains are upgraded, and the upcoming model is slightly larger too. Based on the MLB platform that uses high-strength steel and heavy aluminum use, the 2019 Audi Q5 is lighter than before. So, we have a larger but lighter compact SUV that will hit the markets next year. There would be up to five engine options and the all-wheel-drive system included. While there are faster or appealing compact SUVs on the market, new Audi Q5 is a whole package that is hard to beat. The forthcoming 2019 Audi Q5 looks astonishing. However, the overall design is kinda minimalistic but there are more than enough details. This compact SUV is available in five trim levels and up to 14 different exterior colors. Each trim adds something new and better, and overall, the styling is more and more distinctive. 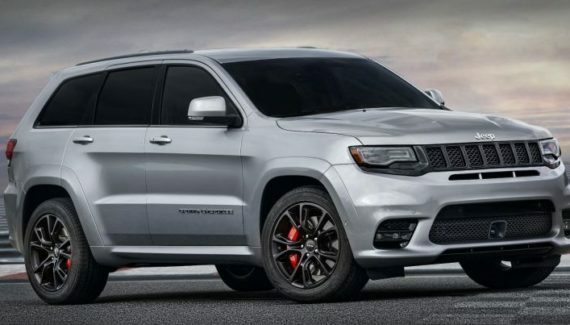 Some exterior packages are in the offer as well, a Sport and Design packages are available that adds a new set of wheels and plenty of chrome materials. For an instance, standard wheels are 17-inch, while the 18-inch wheels are optional. Opt for one of those packages and you will get 19 or 21-inch wheels. Larger than its predecessor, the 2019 Audi Q5 is 15.3 feet long and 6.2 feet wide. However, thanks to the heavy use of aluminum materials, this SUV is lighter than the previous model. 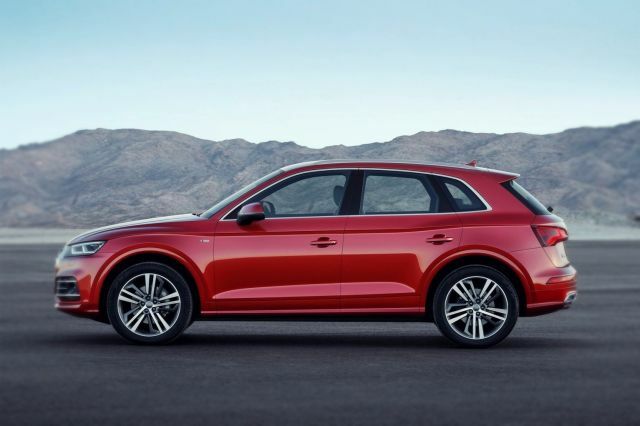 The upcoming Q5 will be around 200 pounds lighter. When it comes to the exterior look, Q5 comes with more sharp lines and more detailing. The bubbly feel is gone and is replaced for a more muscular crossover look. On top of that, the latest design is more aerodynamic. The front end adds angular headlights and a more menacing look. The front grille comes with harder edges and air intakes are lower. If you think the exterior got some significant changes, you are wrong as the interior got even more updates. A familiar Audi’s interior design will remain but on the other hand, basically, everything from the inside is all-new. The interior includes a Virtual Cockpit gauge cluster, thinner dash, minimalistic HVAC controls and much more. The center console holds a new design and new electronic gear shifter. Steering wheel stays intact while the dash includes a single 12.3-inch TFT display and digital gauges. An infotainment screen is placed above the center console and it is an 8.3-inch touchscreen. 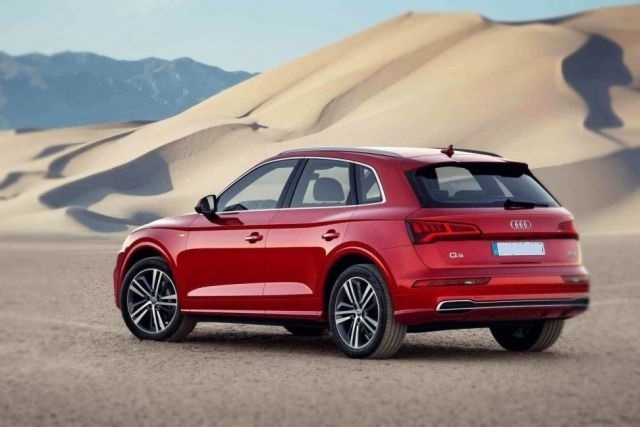 Thanks to the LTE Wi-Fi the customers can use the 2019 Audi Q5 as a hotspot. Moreover, wireless phone charger is in the offer, just like the optional Bang &Olufsen audio system. Rear seats are offering ample legroom and decent headroom. HVAC vents are offered even at the back and rear seat entertainment package is available as an option. The seats are folding flat in order to create a generous cargo room. Standard cargo space is rated at 21.5 cubic feet while with the folded seats that area increases to 54.7 cubic feet. The newest Audi SQ5 will be a highlight of the company`s offer. This SUV is an ultimate performance vehicle that comes with great technology update and luxury if we compare it to the standard one. 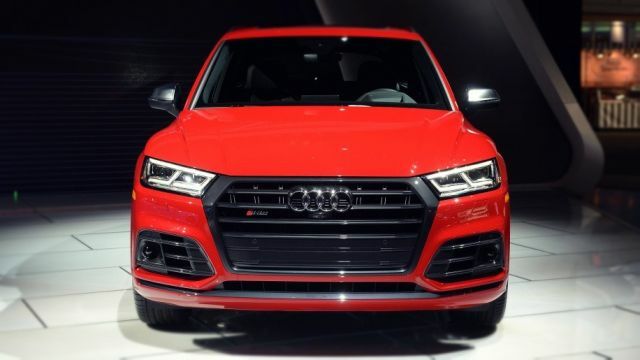 The changes are evident and the newest 2019 Audi SQ5 is powerful and attractive as never before. This sporty model features platinum gray Singleframe® grille and three-dimensional full LED headlights that looks very good. The changes are also seen on the back and the new SQ5 will get stylish taillight. The interior of 2019 Audi Q5 is very futuristic and it will offer much more tech than the standard model. It will get three-spoke multifunction flat-bottom sport steering wheel that is available with SQ5 logo on the center. The seats are covered with a Fine Nappa leather and it will use heating technology. One can also add massage function that is optional. Like the standard one, the new SQ5 will also come with Audi virtual cockpit that is fully digital 12.3-inch instrument cluster. This system allows the driver to use navigation, audio system or use Google Earth app. There is a space for five passengers and this SUV has cargo space with a generous 60.4 cu ft capacity with the 40/20/40 rear seatbacks folded down. If we compare it with the last one model, the new one gets some increased capacity. Under the hood, there is a mighty 3.0L TFSI engine that delivers 354 HP and 369 lb-ft of torque. It comes with an eight-speed Tiptronic automatic transmission. Furthermore, with these specs, the new model will be able to accelerate from 0 to 60 mph in 5.1 sec. Legendary Quattro all-wheel drive will be installed. This model gives combined 21 mpg fuel economy. The approaching 2019 Audi Q5 comes with numerous drivetrain choices. The list of available engines is depending on the specific car market. So with that in mind, the U.S. model will get a 2.0-liter four-cylinder engine with 230 HP. Another unit for the U.S. is a 3.0-liter V6 that generates up to 290 HP. A diesel drivetrain is a 3.0-liter V6 TDI. It can produce 255hp and 440 lb-ft of torque. European markets will get a similar 2.0-liter turbocharged four-cylinder with 255 HP and 275 lb-ft of torque. This engine will also use a dual-clutch S Tronic gearbox with 7-speeds. An all-wheel-drive setup is available as an option for all of the drivetrains. A rear-wheel-drive configuration is standard. A hybrid drivetrain is an option as well. 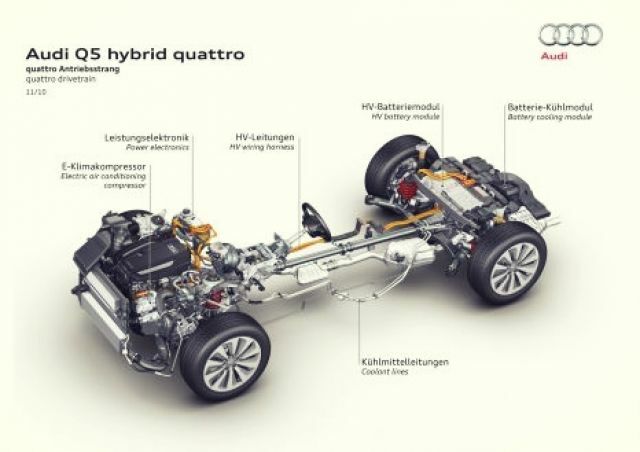 The 2019 Audi Q5 hybrid model uses a 2.0-liter engine in a combination with the electric motor. Furthermore, the electric motor will be able to generate 33 kW and is located directly behind the combustion engine. The maximum output of this model is 155 kW or 211 HP. The transmission includes a Stronic and Tiptronic system. Whatsoever, the Audi Q5 is lighter than before and the engines are re-tuned so the better overall performance is expected. That includes an improvement in the mileage department and the emissions of carbon-dioxide are lower as well. The 2019 Audi Q5 will cost slightly over $43,000. A Premium model is priced at over $45,000 and Prestige trim level cost around $53,000. However, the much sportier version SQ5 will starts at $54.000 and the hybrid one with all-wheel drive system will reach the price of $52.000. 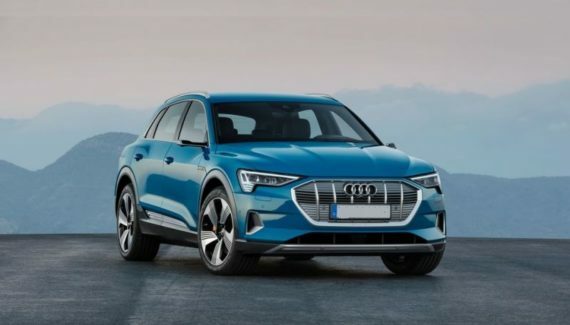 Audi’s latest SUV will compete with some established rivals such as BMW X3, Mercedes-Benz GLC Class, Lincoln MKC and Acura RDX. The new 2019 Audi Q5 will go on sale in the spring of 2019. As we mentioned, you can find a faster or comfier premium SUV. 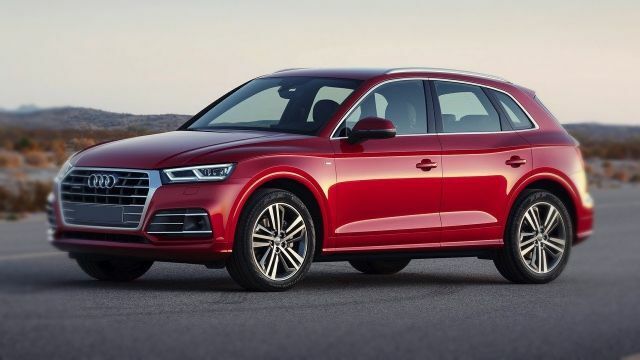 However, the main strength of the 2019 Audi Q5 is his versatility and the overall presence.